I have a thing for banners. 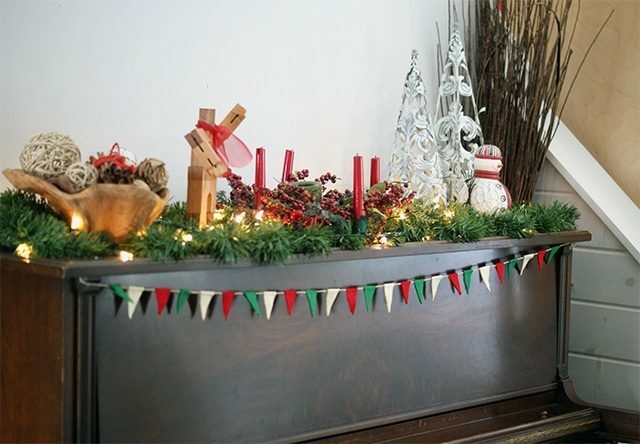 They’re such a happy, easy way to dress up a window, mantle, shelf or…piano, and there are so many easy options. 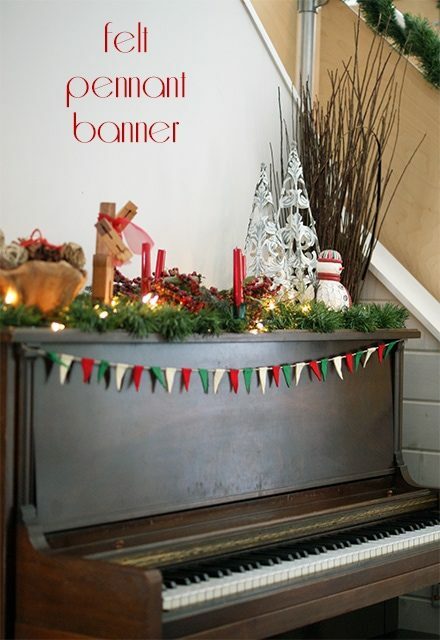 I especially like this felt banner because it’s extremely forgiving. I didn’t use a template for my pieces and they are definitely not perfect, but it still looks festive and fun! Cut diamonds from your felt. The easiest way I found to do this was to fold over 2-3″ of the felt on the widest side and cut triangles through both layers. This ensures that both halves of the diamond are (roughly) the same size, and the fold also helps keep the lengths of each piece (somewhat) uniform. Lay a diamond under the ribbon, twine or string. Add hot glue to one half of the diamond and fold the other half over the string, lining up the edges of both halves before pressing them together. Repeat until you run out of felt pieces or string!